I hope you all had a blast this New Year's Eve! I had a nice party with friends to ring in 2017. I have so much planned for this year. But for now, let me show you the nail art I did for 2016 New Year's Eve! I didn't go for blacks and golden which usually is the color palette for New Year's Eve! Instead I went in with a sheer white polish with pretty tinsels! I used the tinsels I used for decoration this year, to DIY the glitter for the french tips. 1. 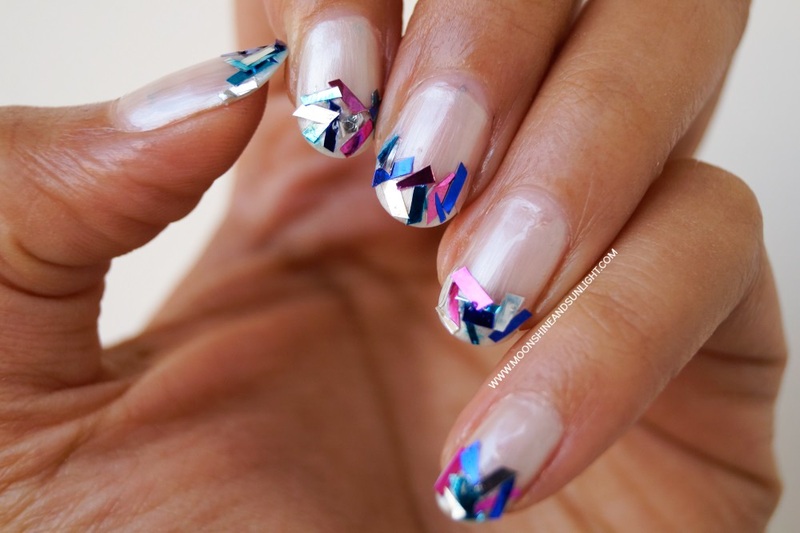 Apply a pastel sheer nail polish. Let one coat dry. 2. 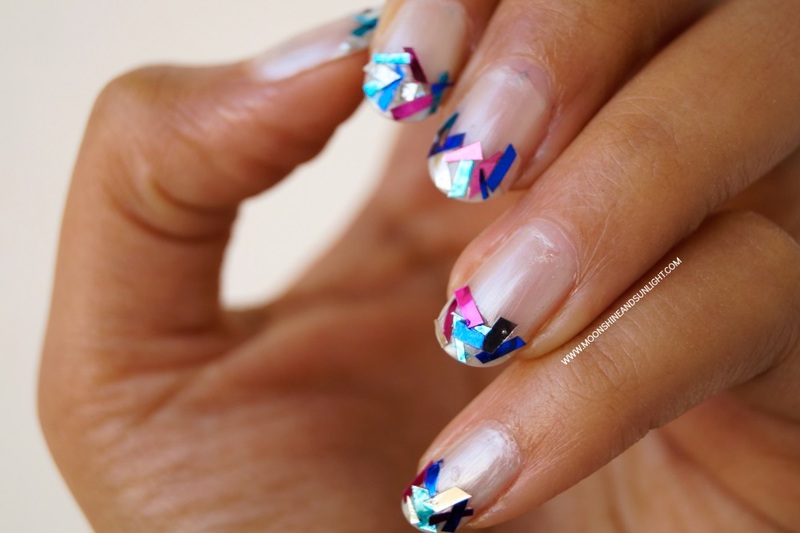 Apply the second coat and before it dries out place the small tinsel pieces with a dotting tools or toothpick. 3. Seal it off with two coats of clear top coat. and voila! 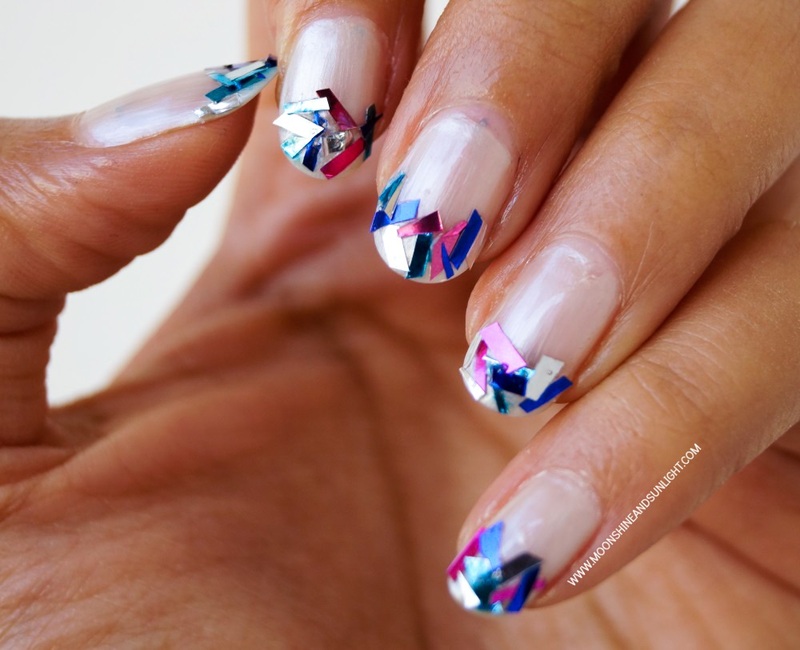 You have got yourself glam and glittery nails with minimum effort! 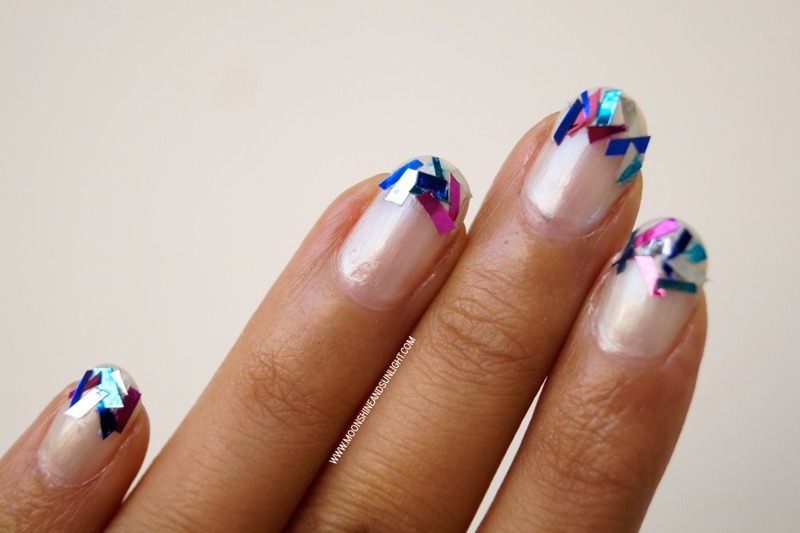 PLUS you can do it even if you have problems painting your nails, IT IS THAT EASY!! How did you spend your New Year's Eve!? Let me know in the comment! So pretty and delicate ! Such a nice DIY idea! Must try it sometime! !